12 – Do I need park admission if I am just going to dine there? Yes. There are no exceptions to this rule. If you have to enter the park for any reason, including dining only, then you must have valid park admission for that day and park in order to enter. 11 – Do I need reservations at the restaurant? You are not always required to have a reservation for table service dining, but they are typically recommended. There are times when popular restaurants will be at “reservation only” status and can’t take any walk-in guests. If you are able to get a reservation, you definitely should, but if you can’t find one and have your heart set on dining there it is always worth a try by walking in. 10 – How do I make reservations? You are able to begin making Advanced Dining Reservations at exactly 180 days prior to your stay. 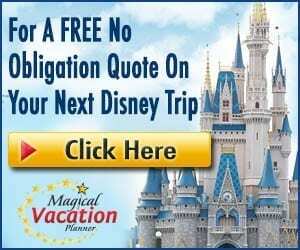 You can make the reservations at that time for your entire stay if you are staying at a Disney resort, otherwise you will have to check back each day to make the next day of reservations. You can make these reservations on the Disney website or by calling 407-WDW-DINE to make your reservations over the phone with an agent. 9 – Do I have to pay to make a reservation? Yes and no. There is never a cost associated with making a dining reservation, but there are a few select meals that you have to pre-pay. If you are required to pre-pay for a meal (i.e. Cinderella’s Royal Table, Hoop Dee Doo Revue, Mickey’s Backyard BBQ, etc.) then you won’t have to pay anything when you go to the meal. These pre-paid meals include tax and gratuity. The majority of dining experiences will not have a cost or pre-payment associated with them. If you miss your reservation and don’t cancel at least 24 hours prior to the reservation, you are subject to a $10 charge per person that will be charged to the card used to hold the reservation. 8 – What happens if I miss my reservation time? Pay careful attention to your reservations and reservation times. If you are worried about getting to a reservation, try to cancel the reservation at least24 hours prior to the reservation. If you are running late, you can always call on the same day and see if you can push the reservation. Most times if you show up a little late, they will still be able to get you in and you won’t have to worry about a charge for missing a reservation. If you miss your reservation completely, you will likely be charged $10 per person on the reservation for holding the reservation. 7 – What do I do if I change my mind about a reservation or need a different time? You can easily edit reservation times and selections through your My Disney Experience account. 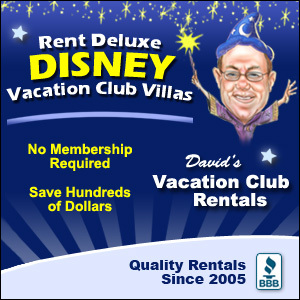 You can also call 407-WDW-DINE and they can make the changes for you. If you are making the reservations online and want to check for different times, it is usually a good idea for you to make the new reservation first, and then cancel the old one. That will make sure you don’t lose the original reservation if you can’t find a new time that works for you. If you are within 24 hours of the reservation, you will likely have to call and won’t be able to make changes to the reservation online. 6 – Are characters at every dining location? No. 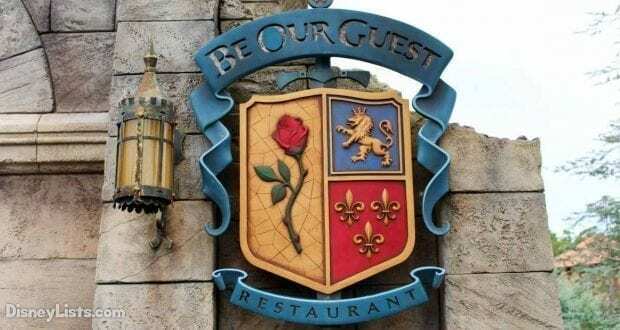 You will want to check the website for the restaurant to determine whether the meal is a character dining meal or not. 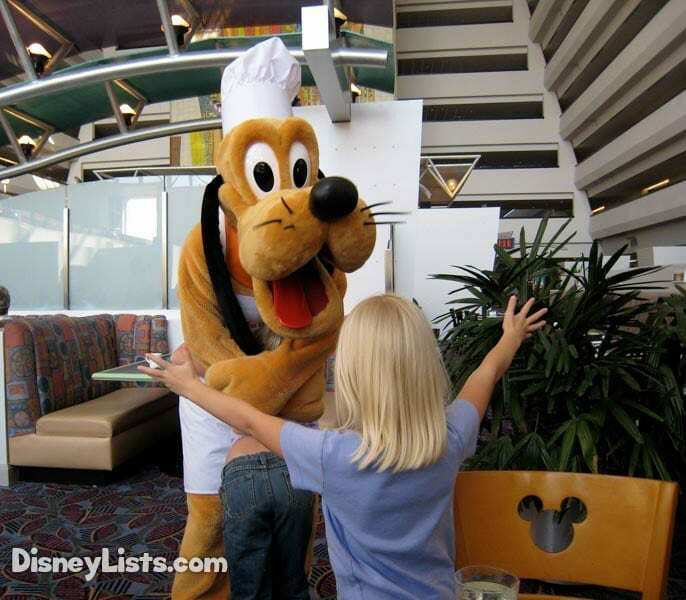 There are various character dining experiences for all meals of the day all over Walt Disney World if characters are what you are looking for. There are no guarantees which characters you will get at a particular location. You can usually get an idea of the characters that you might see from the restaurant’s website, but there could be changes in the character lineup at any meal without notice. 5 – What if someone in my party has a special dietary need? Disney chefs and staff are amazing at handling special dietary needs. You are able to mark many dietary needs when making your dining reservation. You can also tell your server when you arrive. The chef will come out and talk to the guest and talk through menu options or special option not on the menu that are safe for the guest. You can also visit Disney’s dietary page to learn more about these services and how to contact Disney prior to your trip for questions and additional needs. 4 – What if my reservation is before park opening? If you have made an early morning breakfast reservation then you will be allowed to enter the park early. There will be a cast member at the front of the park that will validate that you have a reservation and let you into the park. You will be required to have valid park admission in order to enter. Buses start running at the resorts a bit before park opening, so you can check with your concierge at the front desk for times when the buses will start running. 3 – How do I get to another resort for my dining reservation? You can drive yourself if you have your own car, or you can use Disney transportation. If you need to go to another resort, you will have to first go to either a Disney theme park or Disney Springs and catch transportation to that resort from there. It is usually a good idea to go to a location that is close to where you are trying to end up so that you don’t spend time going way out of the way on Disney transportation. 2 – Can I add another person to my dining party? You can typically call 407-WDW-DINE and they can try to add a person to the party for you. If you aren’t able to add the person that way, then you can also try showing up to the restaurant. There are no guarantees they will be able to get an additional person in, but we have never had issues with it. If you need to add more than 1 person, you may run into problems. It would be best to keep trying to get them added or look for a reservation that accommodates your entire party. 1 – What if I can’t find a reservation time at the restaurant I want? 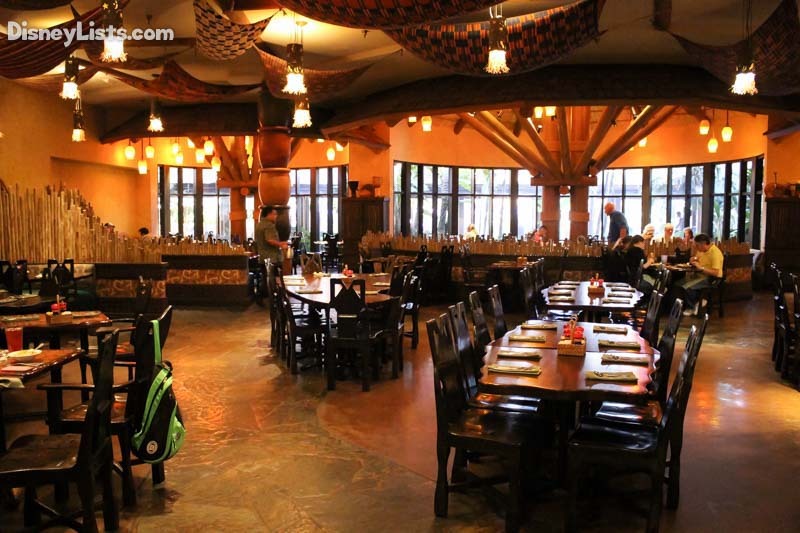 There are many restaurants at Walt Disney World that are extremely popular and book up extremely fast. Don’t give up hope, though. Keep checking back as often as possible, even in the days leading up to the date. There are many guests that will be changing their travel and dining plans, thus reservations will start to open up and you may be lucky enough to snag one of them!